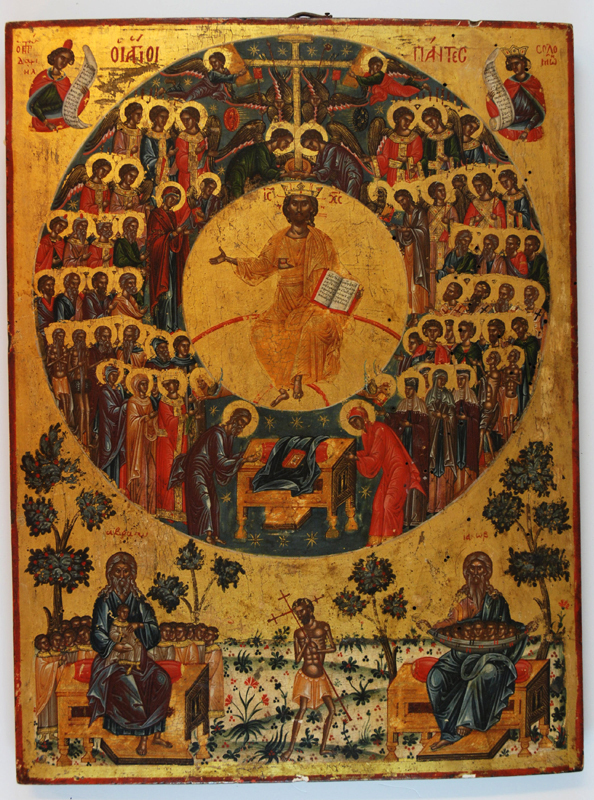 It would seem totally unfair for me to single out one particular saint when our feast calls for us to contemplate the whole plethora of them – the entire sanctoral pantheon of heaven. But, the reason for this special mention would soon become obvious. I would like to introduce you to one of my personal favourites, St. Bernard of Clairvaux, the twelfth century abbot and reformer, a pastor and Doctor of the Church, celebrated for centuries as a man of great intellect and greater holiness. If you have a fascination about the mysterious Knights Templar (perhaps for the wrong reasons, due to the ridiculous associations with the Free Masons as popularised by that piece of literary hogwash, Dan Brown’s Da Vinci Code), you may be interested to know that St Bernard was instrumental in the foundation of that order of military monks. Though largely unknown to our present generation of Catholics, he has left us a legacy of writings and homilies and one single Marian prayer that continues to be part of our treasure trove of Catholic prayers – the Memorare. Although he may not have been its author, he is certainly its greatest promoter. 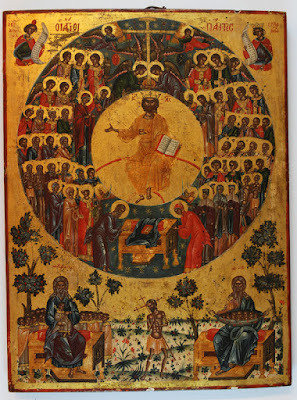 When we commemorate the saints, we are also inflamed with another yearning: “that Christ our life may also appear to us as He appeared to them and that we may one day share in His glory… When Christ comes again, His death shall no longer be proclaimed, and we shall know that we also have died, and that our life is hidden with Him. The glorious head of the Church will appear and His glorified members will shine in splendor with Him, when He forms this lowly body anew into such glory as belongs to Himself, its head.” St Bernard reminds us that we do not simply honour the saints from a distance like dotting fans. No, that would not be enough. By contemplating the saints, we ‘yearn’, we long, and we aspire to be with them, to be in their company, but most importantly, we yearn to ‘become’ them, to be united with Christ who is head of this glorified body, for that is what a saint is meant to be. If Beauty is the compelling power of Truth, then the Beauty of the Saints draws us not to themselves but into the presence of Divine Truth Himself. And here’s the answer, “These are the people who...have washed their robes white again in the blood of the Lamb” (Rev 7:14). What does it mean? It’s worth trying to understand. Let’s say this: the robe is our humanity, the blood of the Lamb is the power of Christ’s passion, His suffering and death, and white is the colour of closeness to God. So a saint is someone whose humanity, whose life, has been brought to God, been made god-like, by the power of the Cross, by the power of the self-offering Christ the Lamb made on the Cross. There, on the Cross, the naked Christ gave us back our robe and covered our nakedness wrought by sin. On the Cross, He showed us our truest and deepest vocation as human beings. But apart from showing us the Cross, the saints also remind us of things that are changeless, timeless. Things we need to remember and hold onto right now. Things like Courage, Sacrifice, Holiness and Hope. For all the trials and hardships that the world has known, through the centuries, ordinary people have stepped forward to live out those ideals. Now, many of you may protest that most Christians will never get the privilege of becoming a ‘red’ martyr, one who gives his life for his faith. But then, all are called to be ‘white’ martyrs, martyrs in their own right, in living faithfully the vocation of holiness in their own respective circumstances. Daily life, the demands of family and work, marriage and parenthood, tending to others’ needs, dealing with the things that go wrong: it’s through all that, most usually, Christ’s love is to be lived. We can either chose mediocrity or we can choose the same path by living it with heroic acts of faith, humility and fidelity. That too, is the path of holiness.